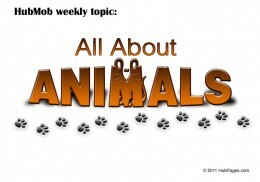 Wild animals, endangered species, animal rights, pet care. The gannet is a beautiful bird which has airbag-like sacs that enable it to plunge-dive into the ocean at highway speeds to catch fish. 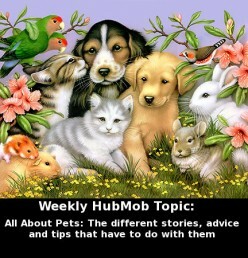 I am very new to Hubpages and HubMob so I hope I'm doing this right. Recently, a friend of mine almost lost her dog after he got into a pack of sugar free gum that he found. It turns out that the ingredient Xylitol is extremely toxic to dogs. According to her vet, the number of Xylitol poisoned dogs which he sees is still on the rise even though the dangers have been known (to some)for years. I didn't know and I am a dog owner. So, I hope this is helpful to some fellow dog owners out there. BTW, I don't know how to attach the HubMob graphic. Like i said, I'm a total novice! Ferrets are considered unusual; a hedgehog arouses curiosity as to how to pet it; but for getting attention, nothing beats carrying around a furry creature with those distinctive black and white stripes. People stop and stare; "Uh...is that what I think it is?"